This immaculate Windsor Park home is just what you've been searching for! Conveniently located in the heart of it all - you can quickly access shopping, restaurants & the interstate for commuting to Fort Benning, N. Columbus or Midtown w/ ease! 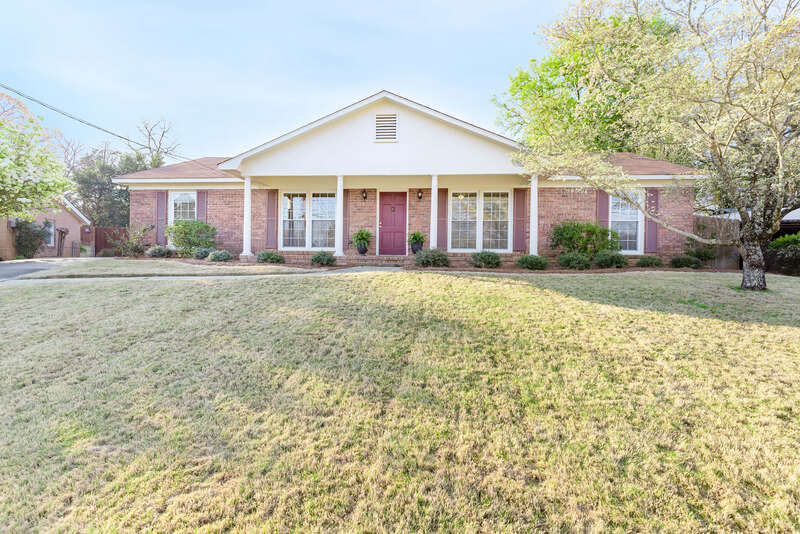 In pristine condition this one level ranch offers low maintenance upkeep w/ a functional floor plan. Out back the large covered carport overlooks the yard & easily doubles as an awesome outdoor living area for entertaining or relaxing - a great find! Natural lights pours into the spacious living rm & opens into the formal dining rm. Bright white cabinets provide nice storage in the kitchen w/ bkfst area. Master suite w/ beautiful hardwood floors & private bath w/ fantastic upgraded tile shower! The three additional bedrooms provide plenty of space for whatever your lifestyle needs & a full bath completes the inside. Nicely landscaped w/ blooming bushes the backyard is a lovely getaway w/ lots of green space & additional storage! A MUST see!